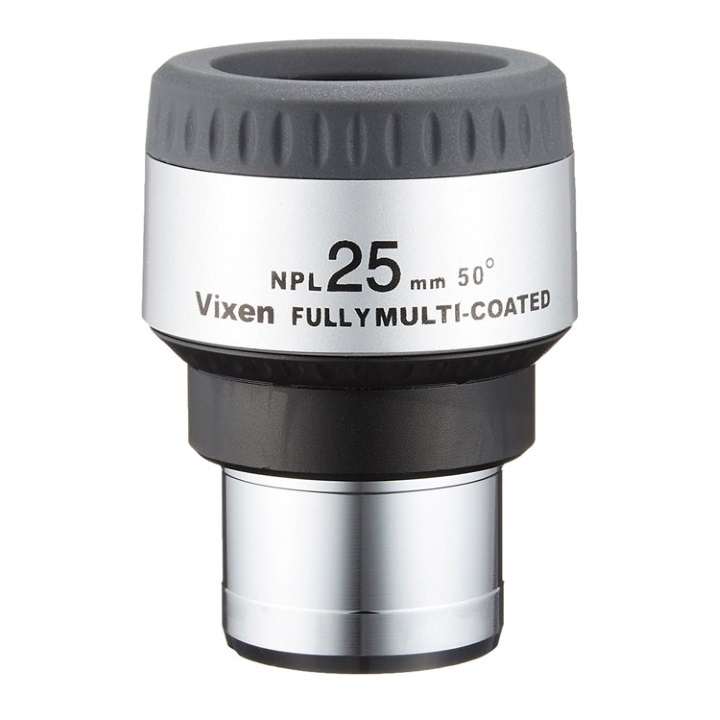 The 2-group 4-element Plossl optical design of the NPL series eyepieces delivers flat and clear images with good color correction. The NPL20, NPL25, NPL30 and NPL40 eyepieces employ twist-up eye-guards for viewing comfort. The lenses are fully multi-coated for high light transmission.